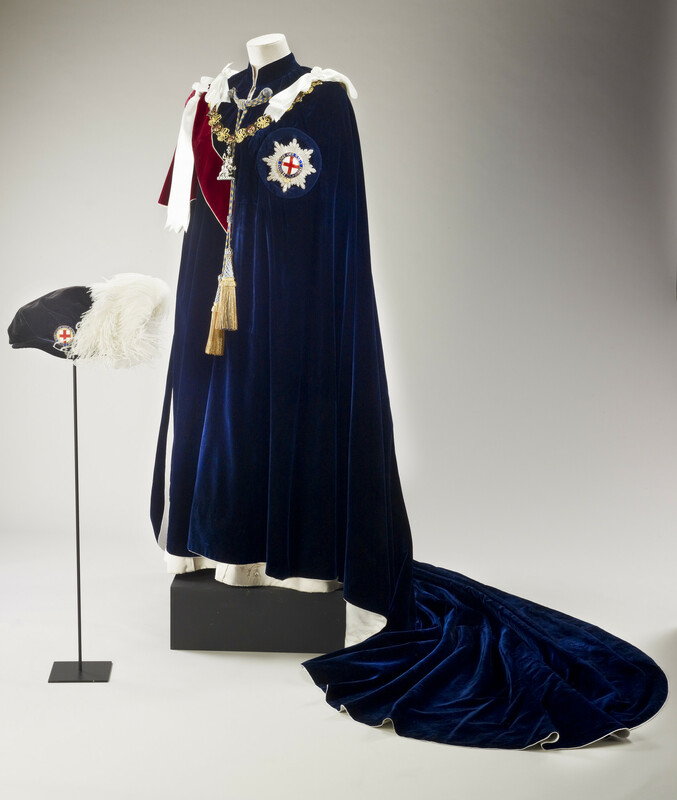 Dark blue velvet robe and cap of The Order of the Garter. The robe with white satin lining, white silk bows on the shoulders, an attached red velvet hood and tasselled cordons. The cap with white ostrich feather plume.